Interested in renting our Banquet Hall? The small calendar above will show reserved dates in turquoise. But please double-check availability at 845-794-6865 OR inquire about Hall Rentals via email here. 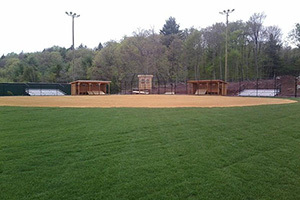 Interested in renting our Softball Field, Soccer Field and/or Pole Barn? The small calendar above will show reserved dates in dark green. But please double-check availability at 845-794-6865. If you are interested in sponsorship opportunities, go to the link below the ballfield photo on this page. Click HERE for the most up-to-date ROCK PARK/FROG BALLFIELD Sponsorship Form. You can fill out the form online, print it and then mail or bring it to the firehouse. Sign up to receive event notices & more! Your email will never be shared and will remain confidential and secure.